Consistently comply with all requirements for valid legal and other regulations related to the field of the company´s business activities. Constantly improve the awareness and skills of all its employees in the field of environmental protection. 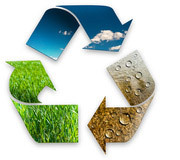 Familiarize workers and the public with these environmental policies.